Clusters of dainty pink to mauve flowers on succulent, silvery-grey foliage with tones of purple and a compact, bushy habit. Flowering winter through to spring. Evergreen. Free flowering. Long flowering period. 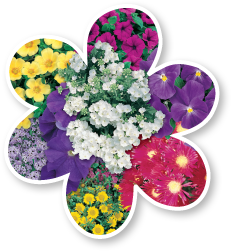 Great for borders, containers, rockeries, gardens and hanging baskets. plant in well drained soil in a warm and sunny position. Height to 30cm and width to 60cm. Protect from heavy frosts. Prune after flowering.